Just finished teaching an Introduction to Basics Class held at Icarus Creative Arts Studio & Gallery in the Bernardo Winery. 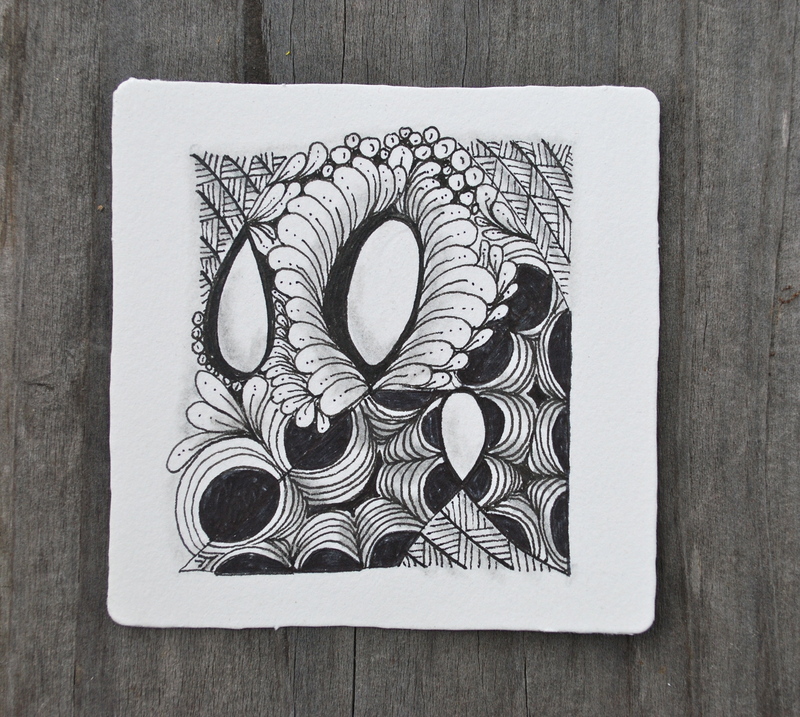 Seven people came out on this nice Sunday afternoon to see what Zentangle is all about. They were all very enthusiastic and quite good at their first tiles. There was such a positive air in the room as we completed our eight patterns on two tiles and then a “surprise WOW ” pattern – Fassett. Look how great they did for their first class. Thanks you guys for coming out! Took a “class” myself and came away with a beautiful tile. I love the use of colors on this. 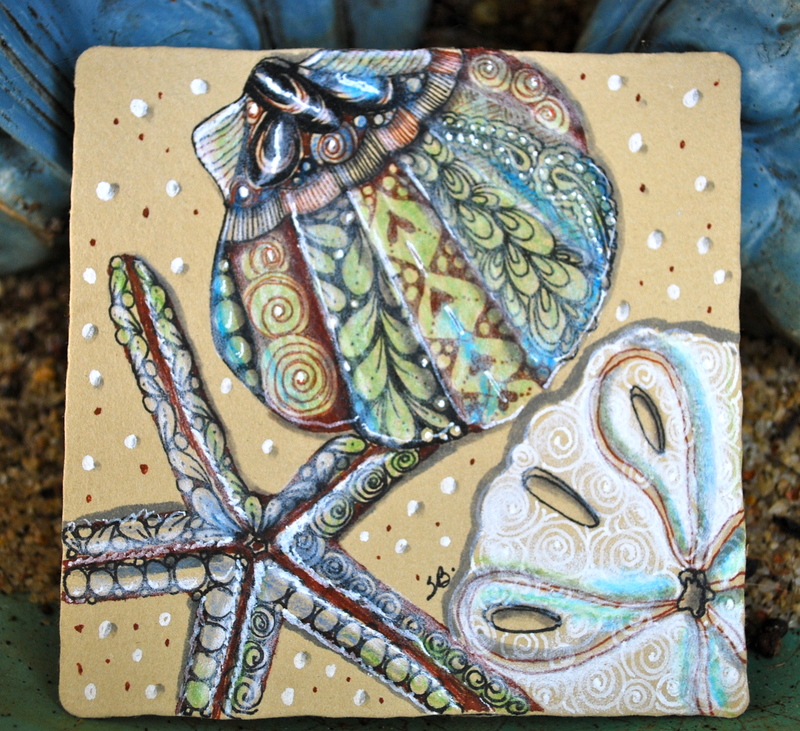 Perfect for “Tangles by the Sea” …. This week’s guest Diva is Erin Olson from The Bright Owl. 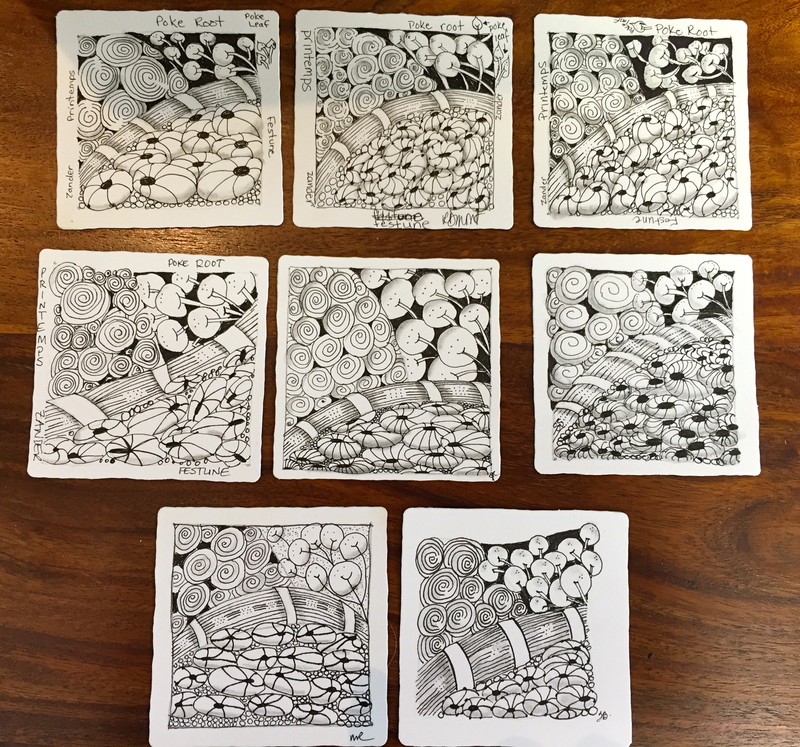 Erin hosts the Zendala Dare every week so it’s only fitting that she is challenging us with a Zendala based idea. 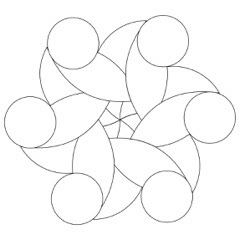 (A Zendala is a Mandala filled with tangles!) She provided us with the “string” and we could take it any direction we wanted to. I’ve included Cruffle, Flux, modified Jetties, Knightsbridge, Crescent Moon and Tipple. Enjoy all the other entries at the Diva’s website, I Am the Diva. The original “string” which I turned into …. Sandy Hunter, CZT is the guest Diva for this week’s challenge. Some of us tend to keep adding more and more to our work, when sometimes we should maybe step away and enjoy the “white space”. I’m not sure I stepped away soon enough from my entry this week, but I do like the white space that draws me in on my tile. This is a “challenge” I’ll keep working on! Our guest Diva this week, Cari Sultanik, gave us the challenge of selecting our own patterns this week and keeping it “organic”. 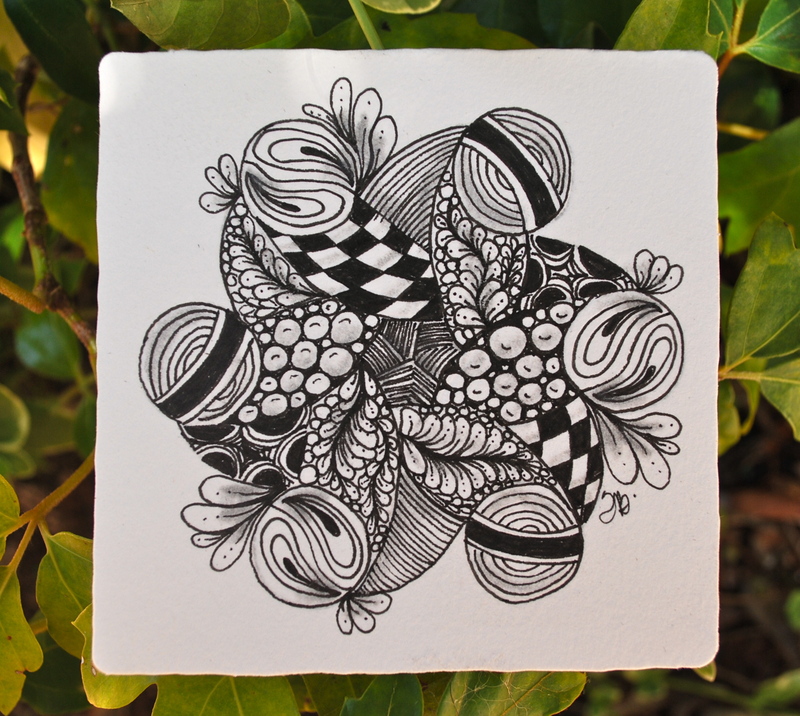 Zentangle has so many patterns, grid based and organic (what I call “swirly”), so there is a pattern out there for everyone! 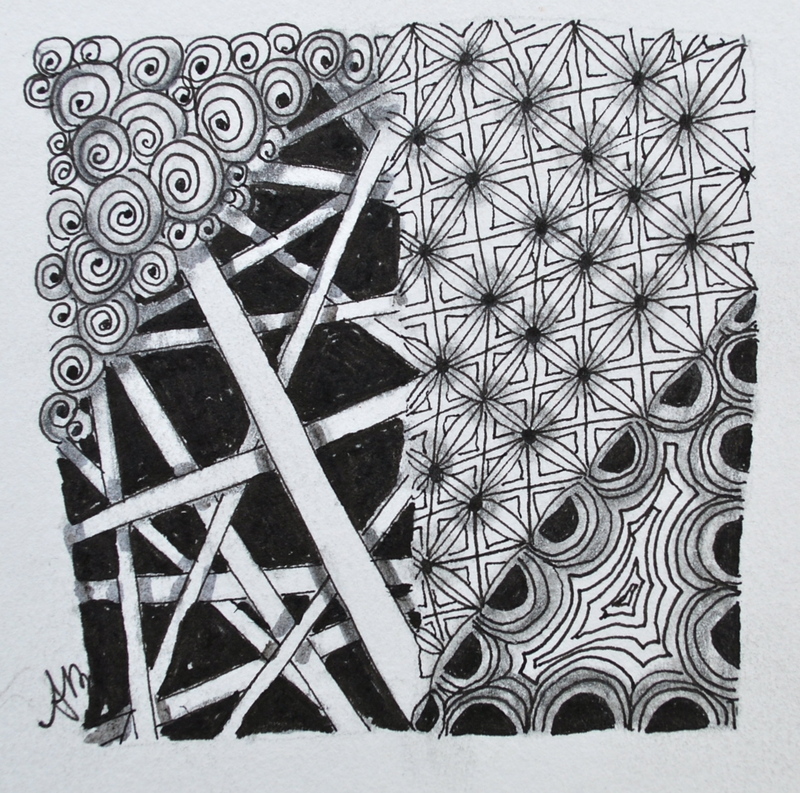 I have always preferred the organic tangles as they seem a little more free flowing than the structured grid patterns. Had a nice afternoon off today and decided to do a little “organic gardening”. 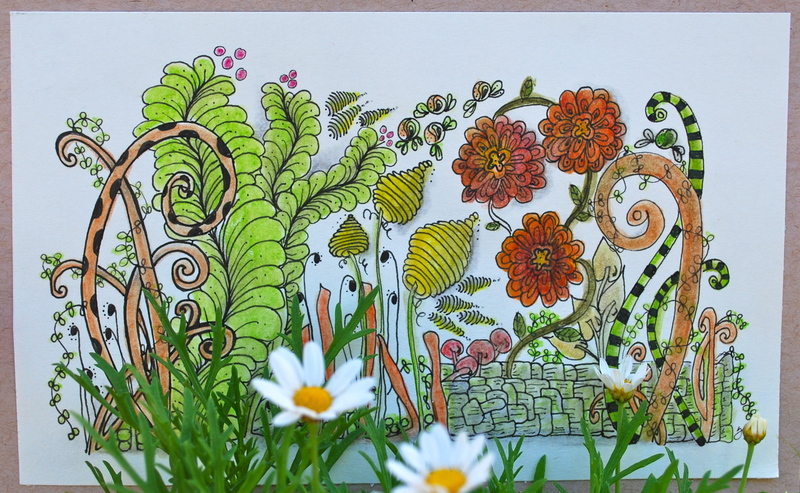 Then I got out my Derwent Inktense pencils and brought the garden to life. Not sure I like the selected colors, maybe too Fall-ish. Then again, maybe they’re just right since August and the dog days of summer are just a week away! Thanks, Cari, for the fun challenge this week! and a couple REAL flowers in my garden! 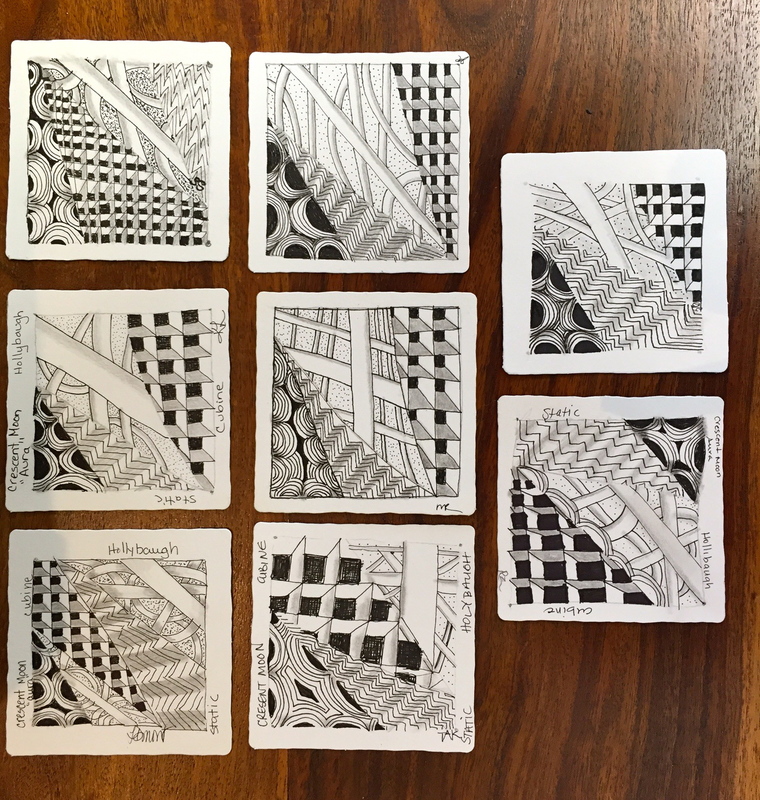 Come join me for a Basic Zentangle Class where you will learn all about this exciting and creative art form – you will surprise yourself at what YOU can create! The class is Sunday, August 23rd from 1-3pm at the Icarus Creative Arts Studio & Gallery in the Bernardo Winery in Rancho Bernardo. 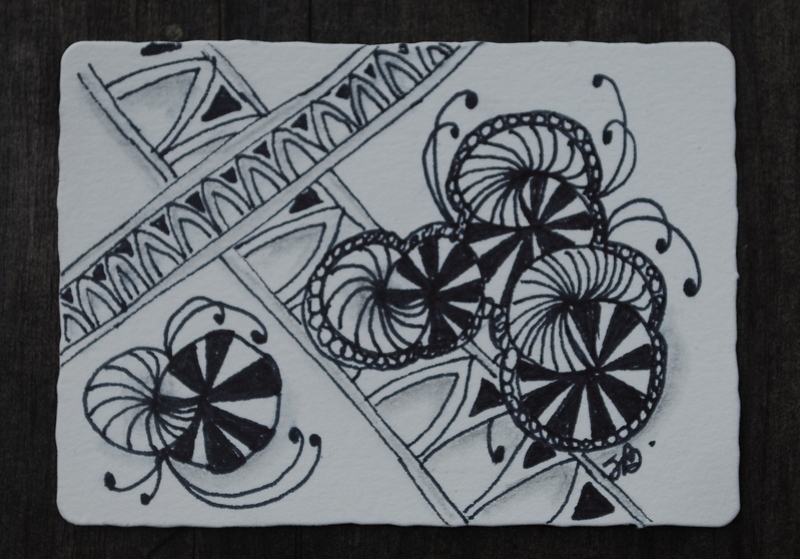 It’s a unique, creative, comfortable space to begin your Zentangle journey. Sign up under “Class Schedule” – limited seating of 12. Since the “real” Diva is taking the summer off, she lined up several guest hosts to keep the Challenge going. This week, Lee Darter, presented us with the challenge of using patterns that reminded her of her youth and attending the circus with her father. I chose Cack, Tropicana and Fescu from the suggested tangles to use. View the other entries at the Diva Challenge website!